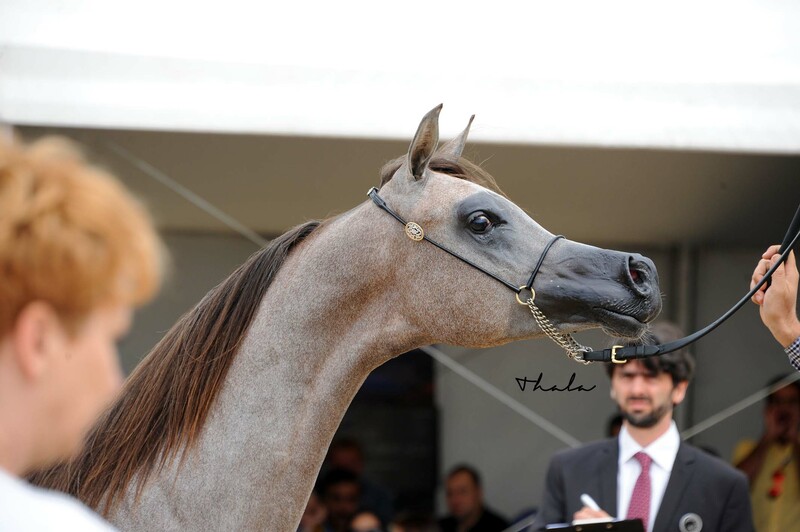 Despite a very capricious weather, from the first day the 2015 edition of the Mediterranean and Arabian Championship attracted a good number of spectators to the VIP area. 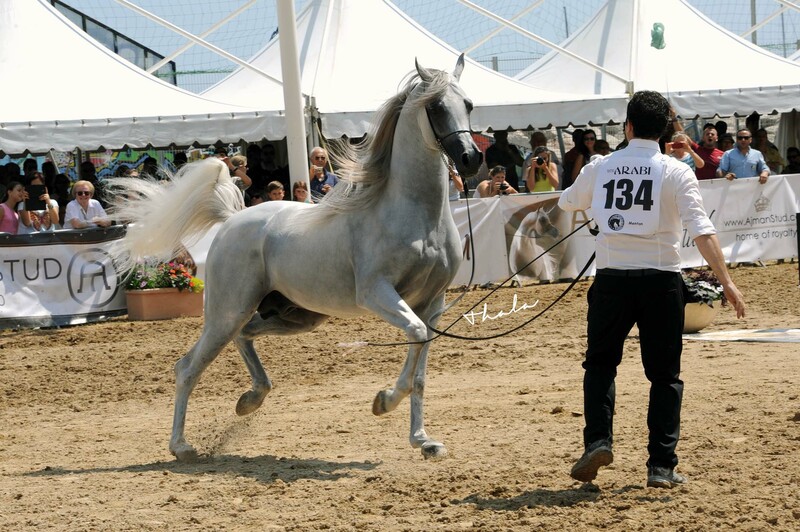 94 Purebred Arabians participated in the qualifiers, including a good amount of yearlings. 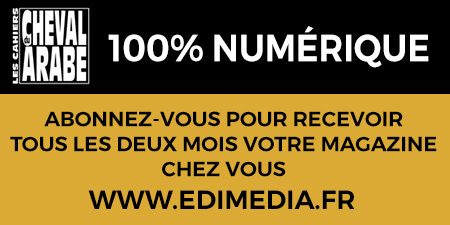 The theme for this edition was black and white, with a dress code of “black and white”, a VIP area decorated in the two colours and the arena laid out in a gigantic chessboard. 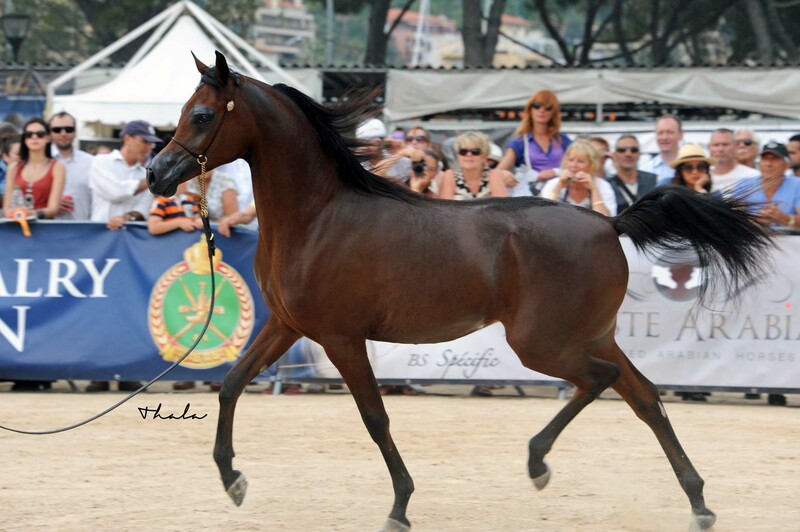 Like every year, a part from the Championships, a number of important trophies were handed out to participants, including a new one for the best French horse, the best European horse and the best Arab horse. There was also prize-money handed out for the winners of these three trophies. 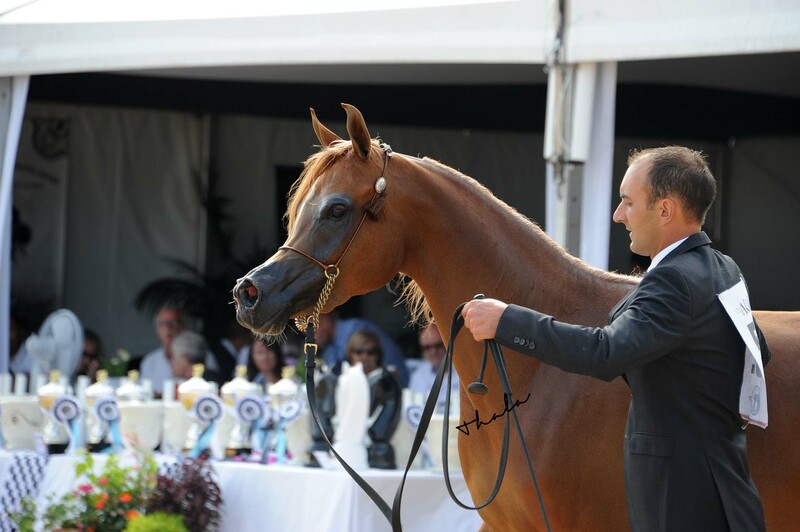 The 2015 edition also saw the arrival of some new owners, notably from the Arab countries, like Alsayed Stud from Saudi Arabia who won two gold medals, but also owners from Kuwait. 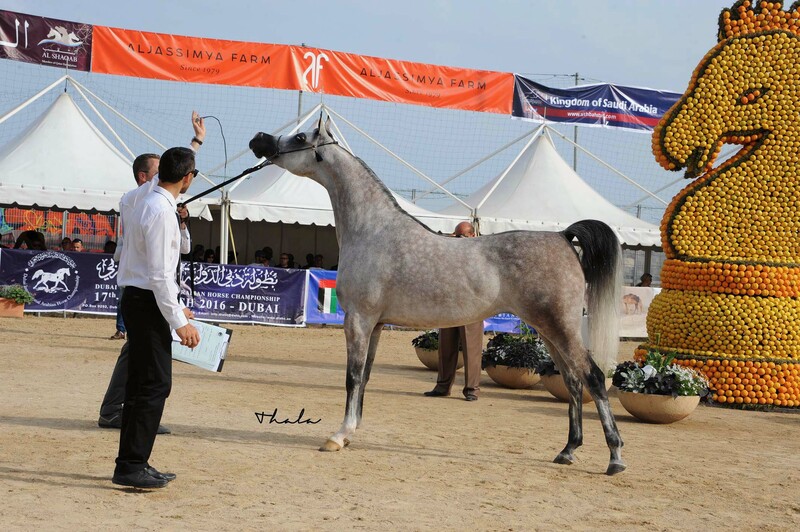 The Al Saqran Stud by the way, lifted the silver medal and the bronze medal in the stallion category. 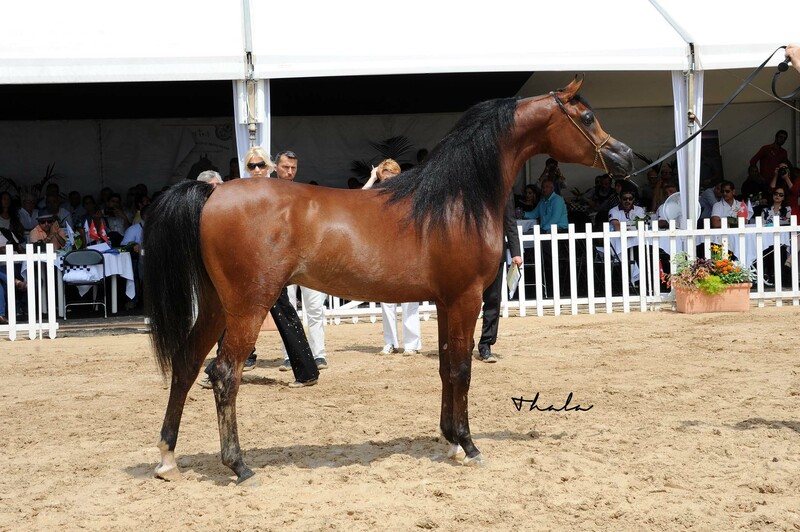 A full report will be published in n° 61 of the Cahiers du Cheval Arabe at the end of July 2015.